Key Largo attractions are as varied as they are exciting and can be magical adventures awaiting you and your family during your tropical vacation, and all created to suite every taste and budget. Enjoy a charter boat or boat rental and snorkel in our exotic Key Largo reef, dive our historic shipwrecks and artificial reefs filled with marine life, swim with dolphins, shake the flipper of a sea lion, or hook the big one and live to tell fish stories of the big fish you treated as catch and release, take an airboat tour of the Florida Everglades and eco-friendly tour. Visit our wild bird sanctuary, witness an alligator farm close up, rent a family houseboat or even take a glass bottom boat ride. You'll fly above the ocean on a parasail, stroll our nature trails or simply enjoy the diverse species of birds and other wildlife that await you while kayak rowing through John Pennekamp State Park or on the Florida Bay. State Parks, both underwater and above, provide numerous water sports activities in Key Largo. 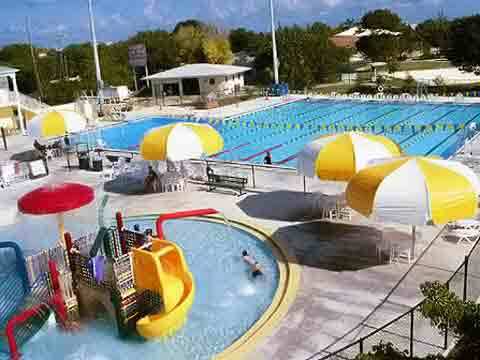 Our state of the art, Jacobs Aquatic Center in the Key Largo Community Park is guarenteed to keep land-lovers very happy. Key Largo sunset cruises are great fun or, just go local and dig your toes into the soft sand while relaxing as you watch the most gorgeous sunsets in the world! Fiinish your evening while enjoying live entertainment provided at our resorts, restaurants, lounges and tiki bars. This winter you could be staying warm while your sailing away to Key Largo!